The International Kenpo Karate Academies is a Kenpo organization that was formed to create a blanket for all Kenpoists to train under. We believe that the Ed Parker system of Kenpo should be taught just as Grandmaster Parker outlined in the "Infinite Insights Into Kenpo" series of books, and should not be revised or watered down. We are not a "paper mill", we are simply a resource for Kenpoists and Kenpo instructors to be able to train and teach under. The International Kenpo Karate Academies offers many products and services to help promote the system of Kenpo: Rank certification, Rank Advancement, and Custom Kenpo certificates for Kenpo Instructors to use in their schools. We try to create connections between like-minded martial artists; if you need help with material, testing, or any other Kenpo related issues we are here to help. 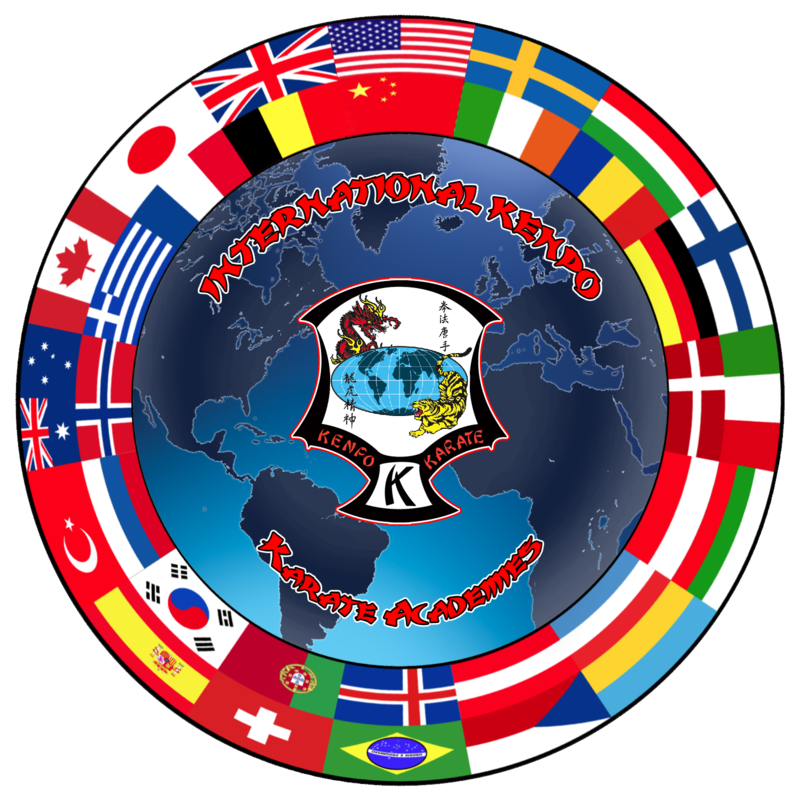 You may also use the International Kenpo Karate Academies crest in your P.R. material, so that it may help you to get established as an instructor or school. 1. Membership in the International Kenpo Karate Academiesis for all practitioners of the major Kenpo schools: EPAK, Tracy, etc. 2. As members, you may stay with your present Instructor or Association, the International Kenpo Karate Academies does not govern rank, we simply recognizes it; however, if you are seeking rank advancement, then you will fall under the guidelines set forth by the IKKA Board of Directors, Officers, and Representatives. At this time we can only advance rank in the EPAK and Chinese systems of Kenpo. As we grow, we will offer rank advancement in other systems of Kenpo. 3. The International Kenpo Karate Academies Board of Directors is made up of Black Belts that are committed to the growth and preservation of the International Kenpo Karate Academies, not necessarily the highest ranking or most recognized. To remain a member of the International Kenpo Karate Academies you must be "active" in the Association. We do not want members to join, and then never be heard from again. To grow as an organization, we need all of the members to play a role in its growth. Periodically the International Kenpo Karate Academies Board will review members and decide if an active role has been met, or if membership was just to pad ones resume. We hate to be this way, but in this day and age of Martial Arts fraud, we want to ensure that the International Kenpo Karate Academies will be around for a long time. We reserve the right to dismiss any member or school who gives false information, or who does not act in the best interest of the International Kenpo Karate Academies, without notification. If you do not see your name under the members section, you are not fulfilling the requirements as a member; therefore your certificates do not 'hold weight'. You may contact us to discuss membership into the International Kenpo Karate Academies.